Penrose Kitchen’s new garden offers an enchanting space for outside dining. 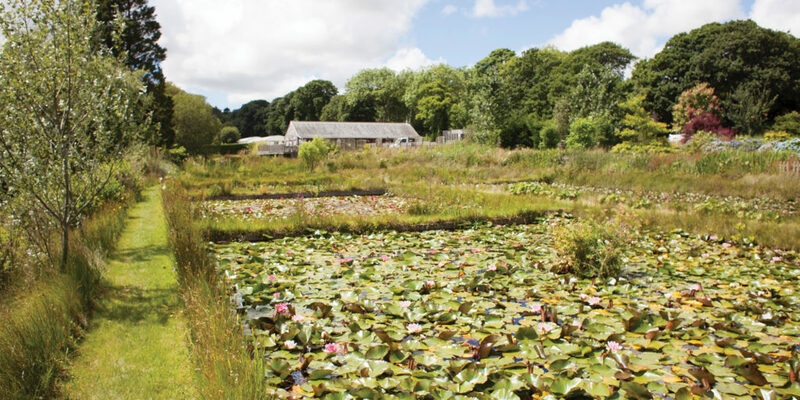 Located on the outskirts of Truro, Penrose Kitchen is nestled within the tranquil grounds of Penrose Water Gardens, a beautiful and lush sanctuary of water plants. Leading up to summer, Penrose Kitchen has been working away on its own garden, ready to launch the new lawn area for an even better outside dining experience. 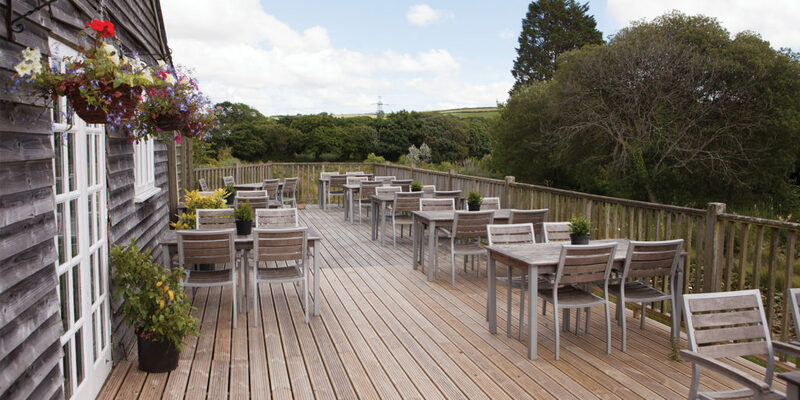 Tables, chairs and benches provide more dining space and allow everyone to make the most of the glorious Cornish weather. Already, owners Ben and Sam have recognised the lawn’s potential for outdoor cooking, so watch out for barbeque events this summer! 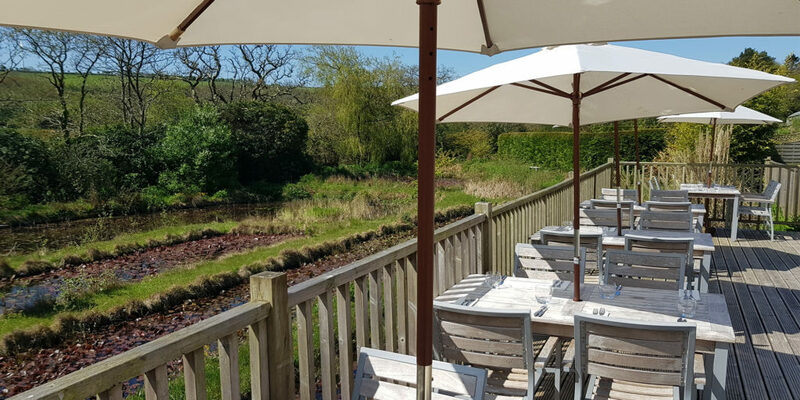 Sam tells us: “Our aim is to have an outdoor bar for the summer season and a gazebo to give shelter from the sun,” bringing the dining experience well and truly outdoors and creating a relaxed environment to enjoy the finest fare that Cornwall has to offer. The restaurant itself is set within a beautiful wooden building that looks like the kind of cabin you’d find next to a lake in France. The decking area outside extends out over the water giving you a bird’s eye view of the assortment of water flowers. 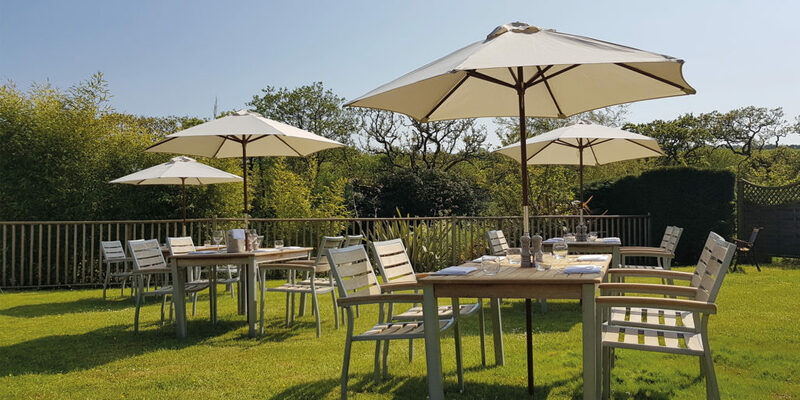 For lunch, sit on the decking with a refreshing glass of white wine and dig into the two or three course set menu, offering locally sourced and seasonal options such as Cornish scallops drizzled with lemon oil, Terras Farm confit duck leg and pears poached in red wine. The water gardens are also a haven for wildlife, so make sure to cast your eye over the ponds and discover the pastel shades of lilies with dragonflies darting between them and ducks idly swimming by as you enjoy your food. Then in the evening, soak up the cosy atmosphere of the restaurant and treat yourself to the rich flavours of the dinner menu. 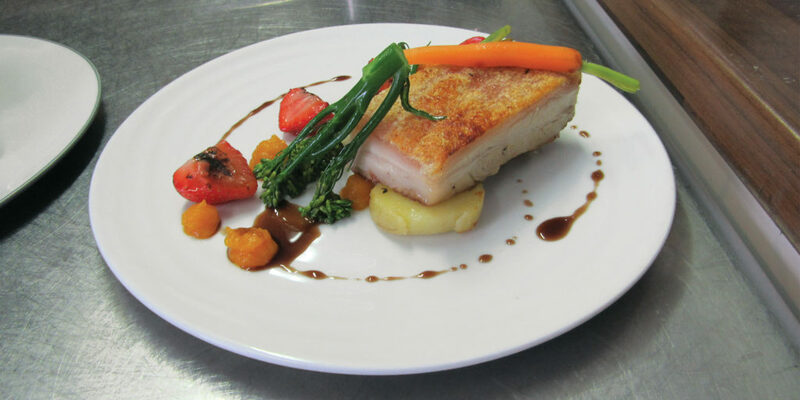 Having recently won another gold award from ‘Taste of the West’, Penrose Kitchen has been upgraded from the ‘Casual Dining’ category to the ‘Restaurant’ category, showing that the food really is as good as the setting. 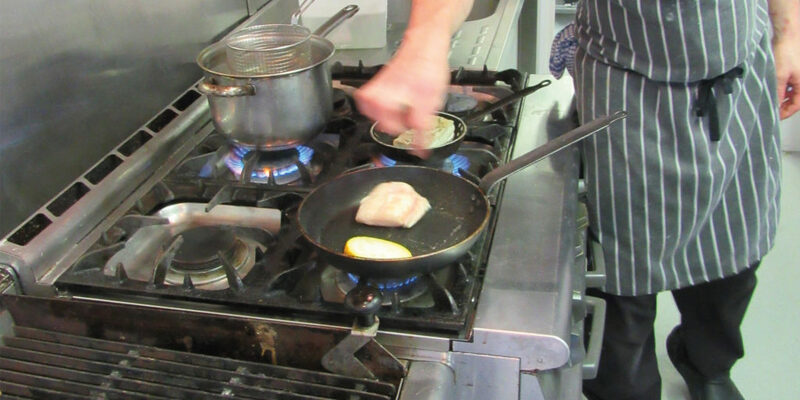 So, get down to Penrose Kitchen this summer and enjoy the natural surroundings and delicious food on offer. "Having recently won another gold award from ‘Taste of the West’, Penrose Kitchen has been upgraded from the ‘Casual Dining’ category to the ‘Restaurant’ category"